It's been an incredible year for us at the Cotton On Foundation, with highs and lows, we made great progress towards refining our Child's Journey approach to development, ensuring that every child in a community that we partner with around the world, has access to quality education, and is supported every step of the way. Your actions are changing lives. Thank you for another impactful and inspiring year. The Cotton On Foundation exists to empower youth globally through quality education, and education is at the core of everything we do. We recognise that to make a sustainable and lasting impact that helps to reduce global poverty, we need to address all factors that contribute to systemic poverty. Our child-centric model, focuses on delivering quality education, and removing the barriers to education that children currently face, ensuring they have a brighter future full of opportunities and possibility. We ensure that kids are healthy, happy and getting the best possible start to life. We ensure that quality education is being delivered in all communities that we partner with across the world. We create safe and inspiring learning environments for student to grow. We support students on their individual paths from kindergarten through primary school, secondary school and tertiary education. We ensure that our contribution has long term benefits for the communities that we partner with. We continually implement our child centric model, to help break the cycle of poverty. Providing children and the wider community with the basic necessities is a crucial step in our model, first and foremost, we want to ensure that kids are healthy, happy and getting the best possible start to life. We understand that a healthy community means a brighter future for all and is key to helping break the cycle of poverty. 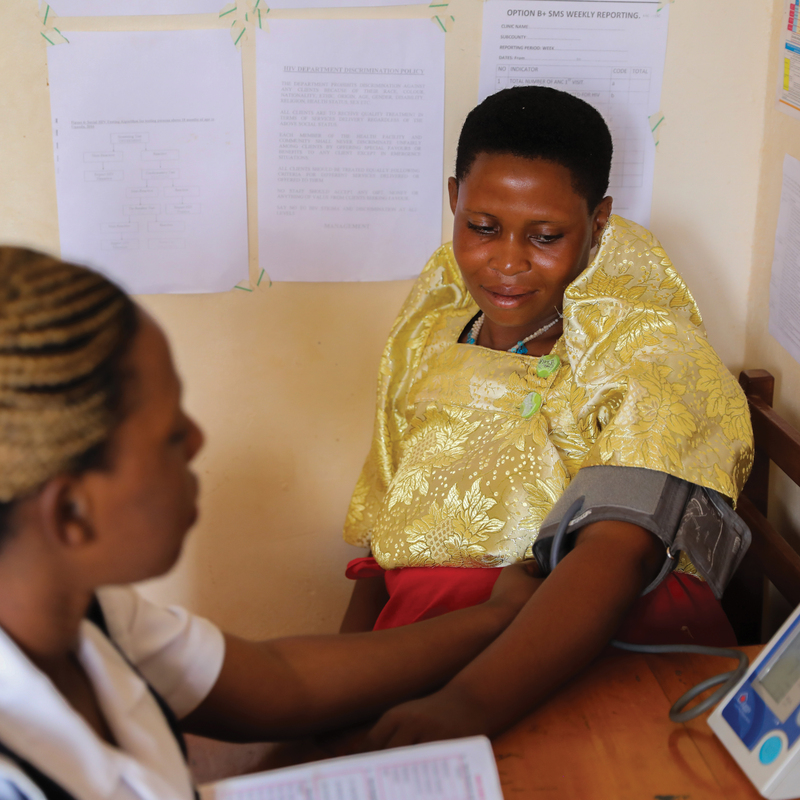 In partnership with local communities, The Cotton On Foundation have now developed and continue to support 3 fully operational, registered, Level 3 Health Clinics across Southern Uganda. The centres place high importance on providing premium maternal healthcare and a safe birthing environment. There were 648 babies delivered, under the supervision of trained midwives, with new mothers also receiving ongoing postnatal support and care. Immunisations were also given to 6,794 children to offer protection from preventable diseases such as Polio, Diphtheria, Pertussis, Tetanus and Measles. This year 43 teachers and 9 head teachers have taken part in the Good Schools program, in partnership with Ugandan based nonprofit organisation Raising Voices. 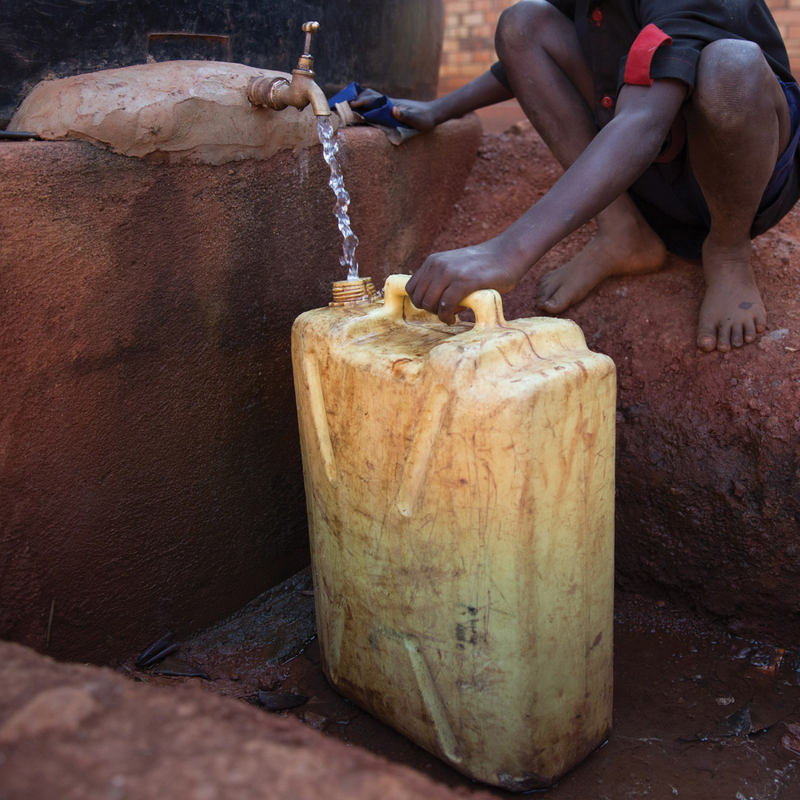 Our Water, Sanitation and Hygiene (WASH) programs are focused on providing clean water, toilet facilities and hygiene education for schools, health centres and households. 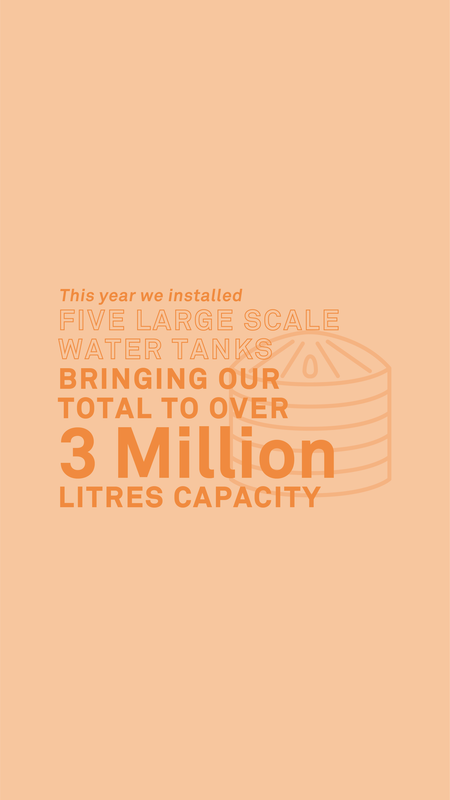 In Uganda to date we have installed 11 large scale tanks with the capacity to hold 2.68 million litres of water (and 81 other tanks totaling 687,000 litres). In 2018 we also began rolling out education based WASH programs with communities across Southern Uganda. Our food and nutrition programs work to ensure that children are healthy, attending school and getting the most out of their education. 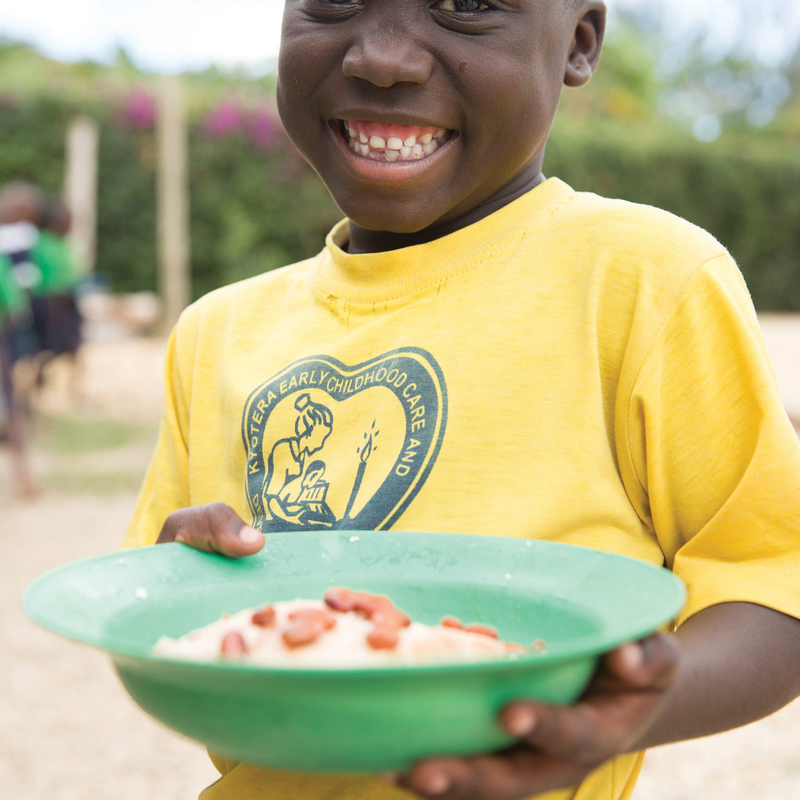 Each day, we provide 24,104 nutritious school meals to students in all supported schools in Southern Uganda. 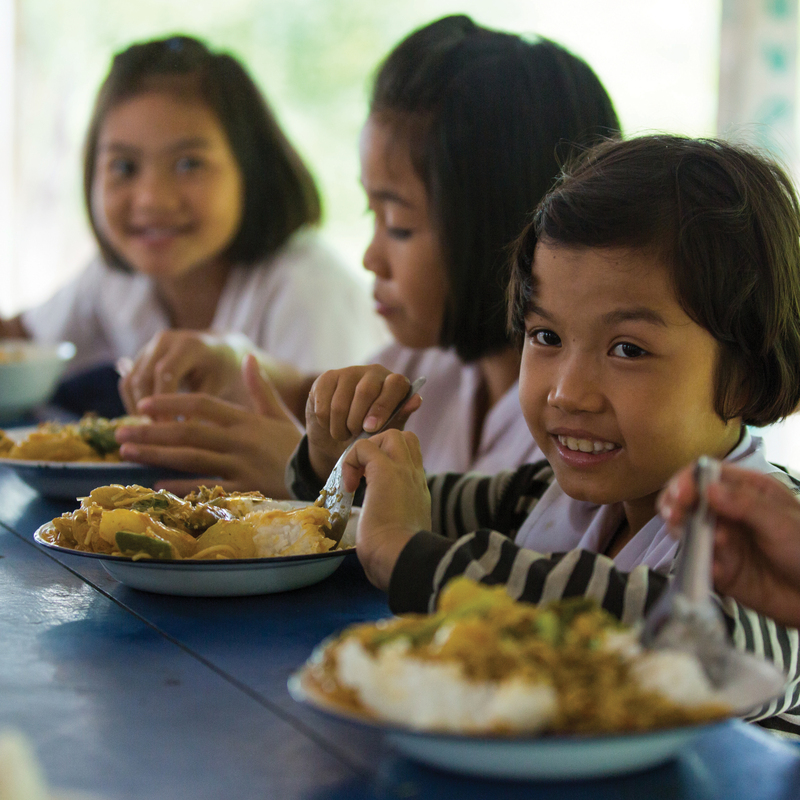 In Thailand 440 healthy and nutritious meals are provided per day to primary and secondary students across two schools that we partner with. 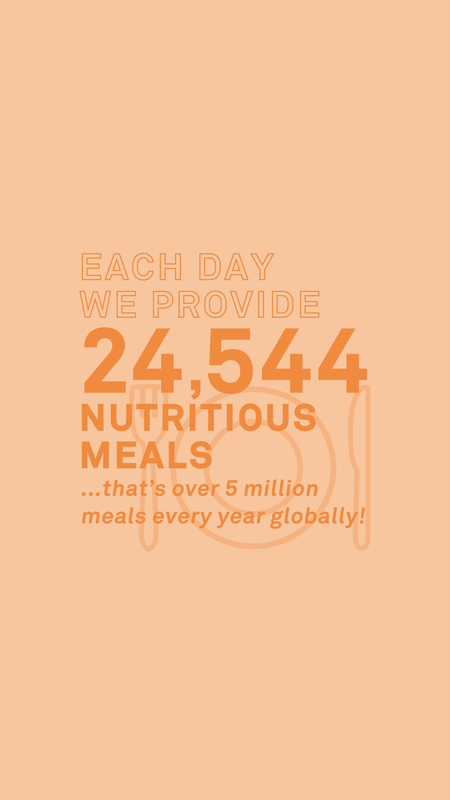 With a focus on long term solutions to food security, the Nutrition Mission program offers community training and education around good food and nutritional practices, and has now seen over 1,562 graduates globally since it began 2015. This year we continued to roll out the Quality Education Model (QEM) globally to ensure that quality education is being effectively delivered in all communities that we partner with across the world. A key highlight was introducing the QEM at the two schools that we partner with in Mae Sot, Thailand this year! Teacher development has been a key focus area for 2018, with a new Head of Teacher Development joining our local team in Uganda. We have also welcomed three experienced literacy mentors to launch our Teacher Mentoring Program pilot at six supported primary schools. 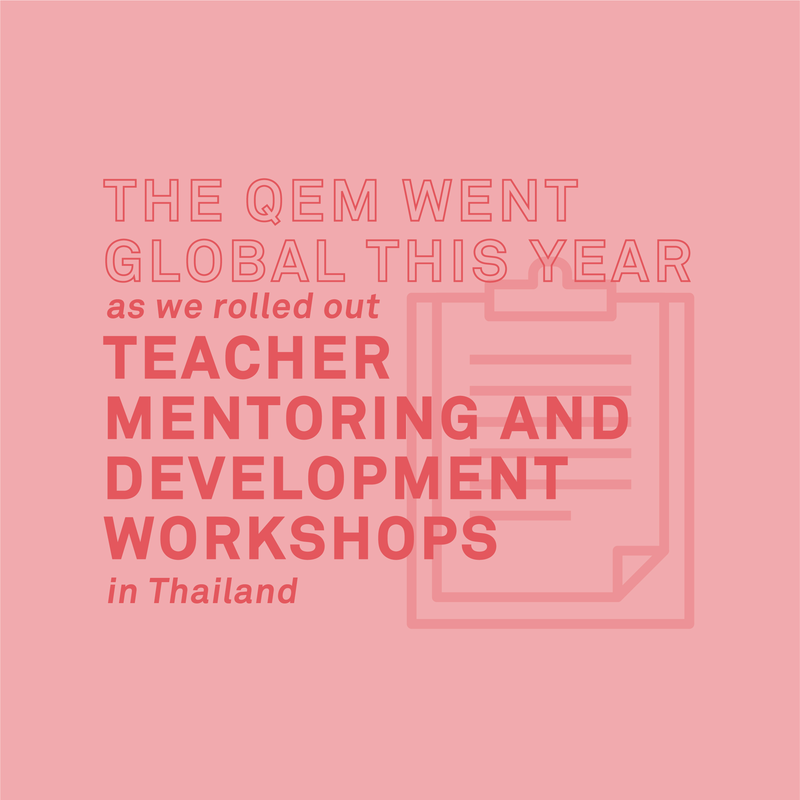 Two teacher development mentors have also joined the team in Thailand and we are excited to begin the Teacher Mentoring Program at Ethekwini Primary School in South Africa in Term 1, 2019. Continuous Professional Development workshops have also been held throughout the year, with a focus on literacy and upskilling early grade teachers. In Uganda, our local team work closely with schools and the wider community to ensure that the most vulnerable students from the Mannya, Busibo and Kyalulangira villages are able to access school. We currently support 2,579 students in Uganda via the Child Sponsorship Program. 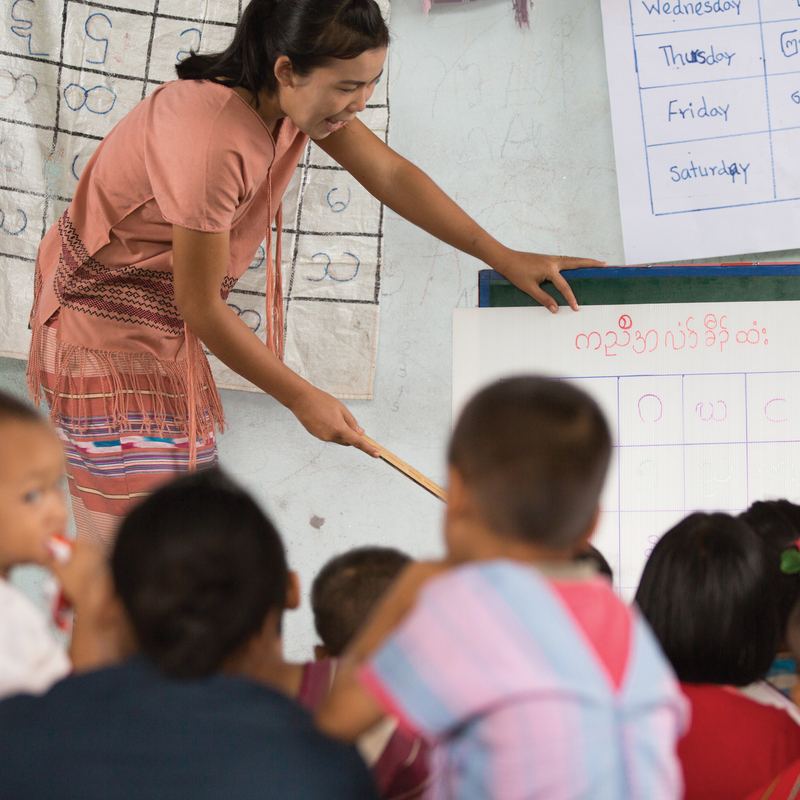 We also support students at Bwe K'Lar School in Thailand via a class sponsorship program. 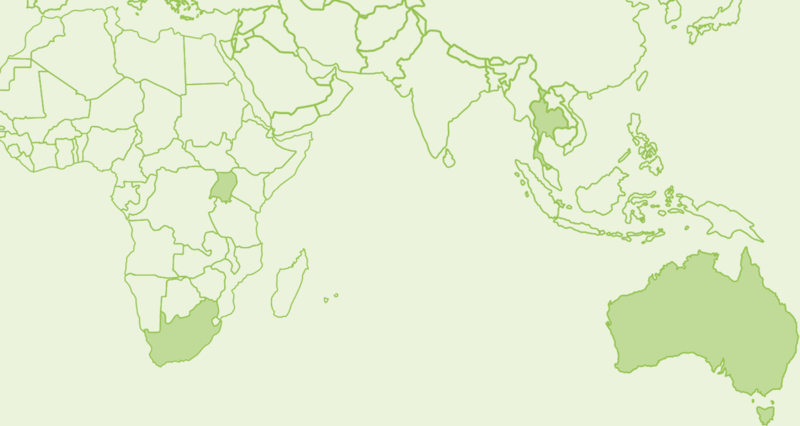 We continued to develop our digital e-reader program in Uganda and South Africa after the success of last year's roll out. After monitoring the student's engagement with the devices, an additional 50 e-readers were distributed at Kyalulangira Primary School in Southern Uganda, expanding the program to the upper primary levels, which now brings the schools total to 100. An additional 50 e-readers were also provided at Ethekwini Primary School in South Africa. As part of our literacy development focus, which supports our goal of quality education, last year we partnered with the Ducere Foundation to deliver inspiring creative writing master classes to teachers and students in Southern Uganda. This year, over 1,000 personally written stories were collected; edited and a select few were chosen to be part of the African Children Stories X Cotton Foundation Collection of four books. In total, 31,000 copies were printed and distributed. We are proud of our continued partnerships in Yirrkala in Australia's Northern Territory, which adopt an innovative approach to learning. Yirrkala is home to the Buku-Larrnggay Mulka Arts Centre, where the Mulka Project was born. The project's mission is to sustain and protect Yolŋu culture and knowledge in Northeast Arnhem Land, under the leadership of community members young and old. We also support Yirrkala School and Dhimurru Land Management Corporation's Learning On Country workshops, which focus on the ultimate purpose of connection, strengthening identity and cultural empowerment. Creating safe and inspiring learning environments in the communities that we partner with globally is crucial to our success in delivering quality education. An educational place is one sustainable seat for a child in a classroom, and includes the basic necessities for a student to receive a quality education. In 2018, we took significant steps towards our goal of developing 20,000 educational places by 2020. 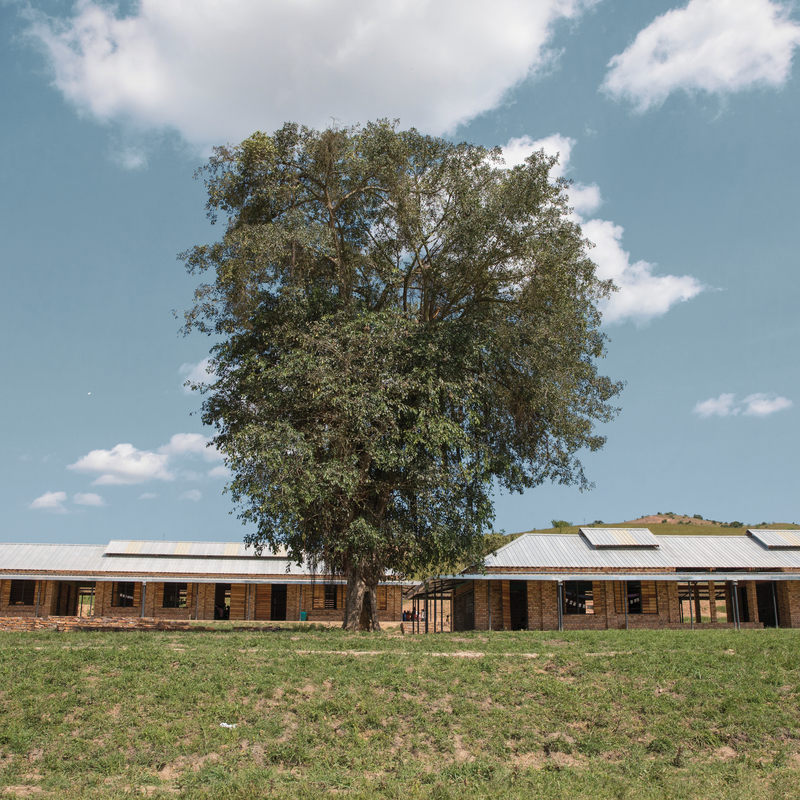 In August, we completed four new primary schools in Uganda, in Kyampalakata, Kasomolo, Kensekka and Kalyamenvu, communities that we had an existing partnership with. We also developed a further 1,200 educational places in Uganda in partnership with the School For Life Foundation, bringing our completed total for 2018 to 3,200 educational places. This year, we began construction at our first school in South Africa, Ethekwini Primary. We began our friendship with the KwaMashu community in 2015 when, in partnership with the Nelson Mandela Foundation, we donated a container library full of books to the school. This year we introduced youth leadership and career guidance events in our central villages, coordinated by our Head of Student Wellbeing and local team in Uganda. The first event was held in Mannya at the Multipurpose Centre. In 2018 we continued to support graduates from Cotton On Foundation schools via a number of post-secondary pathways. We are currently supporting 40 university students, with 18 new university scholarships being awarded this year. Students are studying at 12 public and private universities across Uganda in a variety of fields, including health, business administration, computer science, education and finance. There are also 23 students currently completing vocational studies via Cotton On Foundation scholarships. We want to ensure that our contribution has long term benefits for the communities that we partner with. Many students that graduate from Cotton On Foundation supported schools, go on to vocational studies or University, and choose to come back and work in their local community. Waliyi currently works at the HIV clinic in Mannya, assisting in administration, giving back to his local community, working towards eradicating HIV through prevention. These two passionate teachers from Kasomolo Primary School, Leo and Jacinta, were once supported via the Child Sponsorship Program. Francis Jjemba has worked as a comprehensive nurse at the St Bernard's Health Centre for the past 4 years. At the Cotton On Foundation, we understand that to make a sustainable and lasting impact that helps to reduce global poverty, we need to address all factors that contribute to systemic poverty, with the belief that quality education is at the core. Our child centric Child's Journey model, focuses on delivering quality education, and removing the barriers to education that children currently face. We aim to ensure that no child is left behind, because a quality education gives every child potential to change the world. We believe that by following the Child's Journey model in the communities that we partner with around the world, we can help break to break the cycle of poverty. Our work in the field is only possible because of the actions taken by our team members and customers across the globe. Our fundraising model is actually pretty simple, it all comes down to amazing product, taking action, making an impact and then ensuring that we prove that impact. team members and customers take action to change a life. Deliver Quality Education to those who need it most. Tell the story. Engage our team and customers in a transparent, real & inspiring way, showing them the impact they're making. This year, product sustainability was a big focus area for us! In partnership with the Cotton On Group, we are committed to making a positive difference in people's lives, and reducing our environmental impact through the use of more sustainable materials in our products. We critically analysed our offering and consolidated categories to ensure that we are delivering a world class product range, that is on trend and what our customer wants. As a result, we delivered some incredible environmentally friendly products that also improved our fundraising profitability and increased sales by 11.2%. * All dollar figures throughout are represented in AUD. The Cotton On Foundation Impact Framework is made up of 29 indicators – a mix of long-term impact measures, medium term progress indicators and short term commitments or outputs. Our Impact Framework is crucial to the immediate and future success of Cotton On Foundation projects, it allows us to constantly monitor and measure our impact, keeping us accountable for our results. Go on, share our story with everyone you know! Want a copy to take everywhere you go? This year we introduced the Good Schools Program in all of the communities that we partner with in Southern Uganda. Good Schools focuses on educating students and the wider community around family dynamics, shaping relationships and strengthening individual identity. Programs were run in the beginning of the year, and again in September and have already resulted in parent and teacher committees being formed to collaboratively educate communities on gender equality, creating strong family dynamics and shaping relationships. Held in classes and at school assemblies, WASH program topics covered include body hygiene, school cleanliness, Malaria prevention, hand washing and water access. Gender equality is also a key theme of the WASH programs, promoting girls opportunities and empowering young women. School girls are taught about menstrual hygiene and the physical and emotional changes that come with puberty and how to manage them. This year 909 female students received sanitary pads as a part of the program. Teachers from all 20 Cotton On Foundation supported primary schools in Southern Uganda have taken part in the workshops. Leadership workshops were also conducted with all headteachers and teaching staff. The programs offered personal and professional leadership training. In Ethekwini Primary School South Africa, teachers participated in workshops that covered literacy, creativity and classroom based assessment. Similar workshops were conducted in Mae Sot Thailand and were not limited to Cotton On Foundation supported schools, instead representatives from all local Migrant Learning Centres were invited to attend, with 48 participants in total. In Uganda, the program aims to ensure that no student is left behind, offering financial support to children who may otherwise be unable to attend school. Support covers school fees, meals at school, learning materials, and access to the local healthcare centre for day and boarding students. In Thailand, the program ensures that the essential running costs of the school are met, and that each class is provided with the necessities to receive a quality education. Workshops for children are regularly held at the Mulka Centre, and include activities like, song writing, printmaking, learning instruments, creating animations and even coding games. This year we supported three new initiatives, including music workshops run by Yothu Yindi band member Stuart Kellaway, which had 61 participants. The second workshop with 24 students was centred on animation, which encouraged individual creativity and included filmmaking through Claymation. Year 2 and 3 students also participated in a Play:Create workshop, aimed at nurturing children’s unique perspective, views and creativity. The children spent the week collecting items from their land and life, and then experimented with the various ways these items could be used. Support of a school may include the construction of a new school or planned construction coupled with sponsorship, the provision of school meals, students’ supplies, literacy materials, school uniforms, sanitary pads or teacher training. The facilitators spent a full day with students, holding workshops around life skills, student leadership clubs, career opportunities and post-secondary school pathways. A Career Guidance Partner was engaged, and a team of six professional speakers including a counsellor, an entrepreneur, a marketer, a photojournalist, an administrator and a teacher came and presented to the students. We collected data from current Senior 4, Senior 5 and Senior 6 students from Mannya and Busibo around what they would like to study once they complete secondary school. The valued insight of these secondary students contributes directly to our future pathways program. To date, we have celebrated 48 university graduates and 138 vocational studies graduates. Cotton On Foundation will continue to support tertiary scholarships, however we have also identified a need for greater post-secondary school pathways and coaching, including: job readiness, career guidance, small business development and peer support to ensure that all graduating students are able to enter the employment market. Establishing post-secondary pathways and support for students will be a focus for the coming year. Waliyi Kawuki began Senior 1 at St Bernard’s Secondary School in Mannya, after completing primary school at Kassasa Primary, just outside of Mannya. Waliyi went on to study at Kampala University and graduated with a Bachelor of Public Administration in 2016. Waliyi was supported by the Cotton On Foundation Child Sponsorship program through his secondary and tertiary education. He has also had the amazing opportunity to meet his sponsor who was part of a Cotton On Group trip to Uganda. Waliyi’s younger brother is now studying at university, also supported by the sponsorship program, one sister has just become a mother and the other sister is a primary school teacher. After completing secondary school, both young women chose to pursue studies and a career in teaching, so that they could return to their community and inspire the next generation of children. Leo says that, "the kids are so fun, and being a teacher makes me laugh and joke around. This helps understand them better. As well as providing them with information, they provide me with information. We are helping build the culture." Jacinta believes that, "being a teacher is a gift. Children are funny. Being a teacher keeps you young." Prior to this, Francis was a student at both St Nicholas' Primary School and St Bernard’s Secondary School in Mannya. Francis grew up in a child headed household within the Mannya community, supporting his two younger siblings. Today, all three of the Jjemba siblings are tertiary educated; his sister has a Bachelor of Arts in Education from Uganda Martys University while his brother is still undertaking his studies to become a teacher. 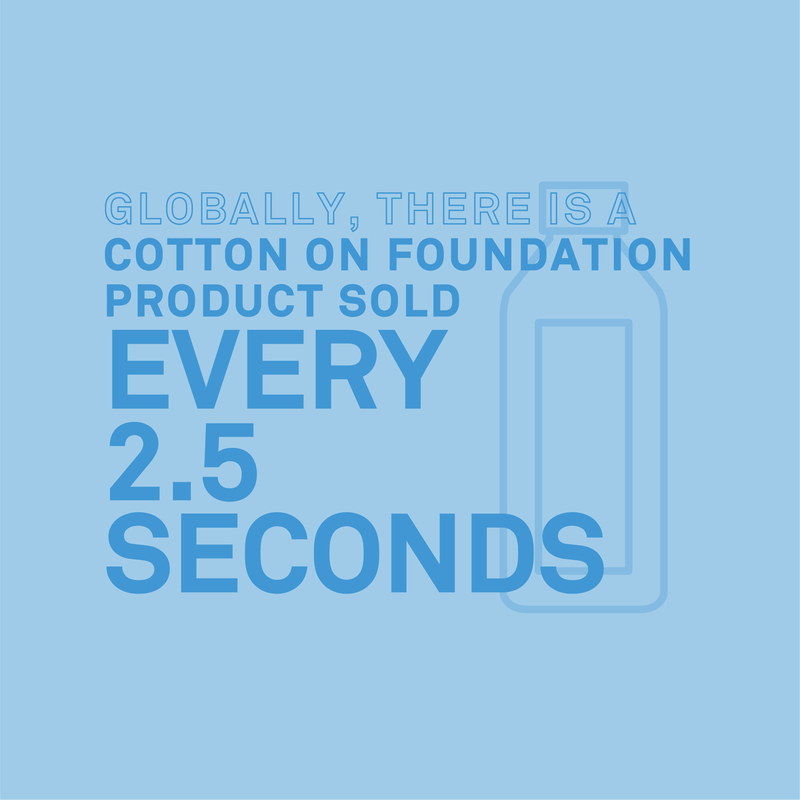 We offer every day product including water and tote bags that customers can add to their purchase at a Cotton On Group store or online, in fact there is a Cotton On Foundation product sold globally every 2.5 seconds! We aim to empower youth globally through quality education, but it's not just about the communities we partner with, it includes our global team members, and customers. Our movement is all about youth supporting youth! We believe that we have a responsibility to drive real social change, and it’s becoming increasingly important to our customers, who now expect brands to not only have an opinion on critical issues, but to be doing something about it. And we're proud to say that we are! Each Framework indicator maps directly to a United Nations Sustainable Development Goal, and allows us to demonstrate our contribution to these global goals. We have developed an iteration of the Impact Framework that is specific to each region that we operate in, ensuring that the measures are tailored to meet the individual needs of all communities that we partner with. We are also fortunate to be able to keep our administration expenses low by leaning on our friends across the wider Cotton On Group, who help cover some of the essential costs associated with operating a business.